The bloc released a list of American products worth around $20 billion on Wednesday that could be targeted over US subsidies given to Boeing (BA). The move follows a similar step taken by the Trump administration, which threatened last week to impose tariffs on EU imports worth as much as $11 billion over subsidies for regional planemaker Airbus (EADSF).The European Union indicated on Wednesday that it wants to avoid further escalation. “While we need to be ready with countermeasures in case there is no other way out, I still believe that dialogue is what should prevail,” Cecilia Malmström, Europe’s top trade official, said in a statement. Read MoreA spokesperson for the European Commission said that while products on the broad target list represents US exports worth $20 billion, any retaliatory action would hit a smaller subsection of goods. The European Union estimated in 2012 that the damage from Boeing subsidies was roughly $12 billion. Europe is ready to discuss trade with the US, but talks may already be doomedWhile the tariffs carry political weight, they would have limited economic impact if imposed.Holger Schmieding, the chief economist at Berenberg bank, said the measures threatened by the United States and European Union would “not hurt the [global] economic outlook by much.”The fight over aircraft subsidies has been running for 15 years. EU authorities said in 2004 that Boeing received $19 billion in unfair subsidies from federal and state governments between 1989 and 2006. The US government filed a similar claim that year over subsidies to Airbus. The World Trade Organization has handed down favorable rulings to both sides, underscoring the complexity of the dispute. 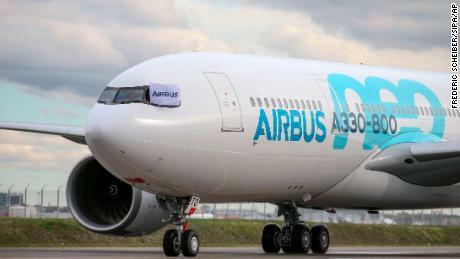 US threatens tariffs on $11 billion of European goods over Airbus subsidiesOfficials on both sides have stressed that the fight over aircraft subsidies is not related to other trade disputes. But the threats come at a particularly sensitive time for transatlantic trade. The European Union on Monday agreed to restart trade talks with the United States, despite strong objections from French President Emmanuel Macron.Any negotiations would face an immediate hurdle: The European Union says agriculture won’t be up for discussion, while the United States insists it must be part of discussions.The trading relationship between the two sides is worth more than $1 trillion annually, but Europe exports significantly more goods to the United States than the other way around. That has been a sticking point for President Donald Trump, who is still considering whether to impose tariffs of up to 25% on European vehicle imports. 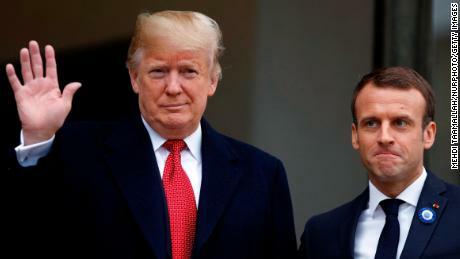 The United States has already imposed tariffs on European steel and aluminum exports. The European Union retaliated with tariffs on more than $3 billion worth of American exports in June. The levies hit products such as motorcycles, orange juice, bourbon, peanut butter, cigarettes and denim.